When K-12 school districts want to create sustainable buildings The Collaborative for High Performance Schools (CHPS) is a program districts can utilize that incorporates elements of Leadership in Energy and Environmental Design (LEED®). CHPS standards focus on building efficiency and providing a healthy learning environment. According to Global Green USA, a nonprofit organization dedicated to advocating for green solutions, recent studies link an increase in student test scores and green classrooms. When natural daylighting, improved classroom acoustics, healthier paints and carpets are used, students’ test scores can improve up to 20 percent. One such company leading the way for CHPS facilities is Jasmine Engineering, a Texas-based Commissioning and Project Management firm. 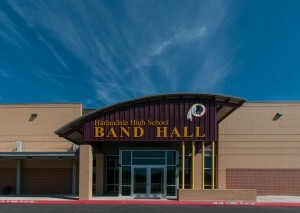 Jasmine Engineering served as an owner representative for commissioning services on the development of CHPS projects at Harlandale Independent School District (ISD). Jasmine Engineering’s Principal, Jasmine Azima, believes that these projects have inherent added value. Her experience has taught her that while building a top quality facility without cutting corners, it is still possible to ensure that building has maintainable energy conservation with more than 50 years of longevity to its systems and efficiency. In addition to test scores, absenteeism and teacher turnover can be reduced in a green school. Reducing absenteeism by 15 percent, a typical elementary school would save $40,000 to $60,000. According to Global Green USA, reducing teacher turnover by 5 percent can save a school district financial savings and provides a better experience for students. 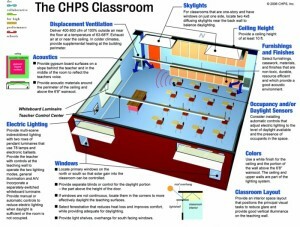 The Texas CHPS Criteria (TX-CHPS) was created in 2009 and acts as a benchmark for design and construction of Texas high-performance school buildings. While the requirements for a CHPS facility can add to a project scope, in the end Commissioning experts say that it’s worth it. Click HERE for information about Jasmine Engineering’s K-12 experience and visit www.chps.net to learn more about the CHPS program. To learn how Jasmine Engineering can help guide your school district on their new construction or renovation efforts, call (210) 227-3000 or visit www.jasmineengineering.com. A version of this article was originally published in Construction News San Antonio’s November 2012 issue, Vol. 15, No. 11.